The Mothers’ Union is always evolving. From its small beginnings in a Hampshire vicarage to now a world wide organisation. These are exciting times. After the recent historic election which took place under the new constitution approved by the Queen, our patron, in early 2018 we now have our first World Wide President who lives outside the UK, in Guyana. Our branch is also evolving. Last year we served the soft drinks and cakes at the Fun Day on the Barrack Field. Last year members of the QE2 school joined the team helping at Little Footprints. Now we are organising the choir teas rotas before evensong. 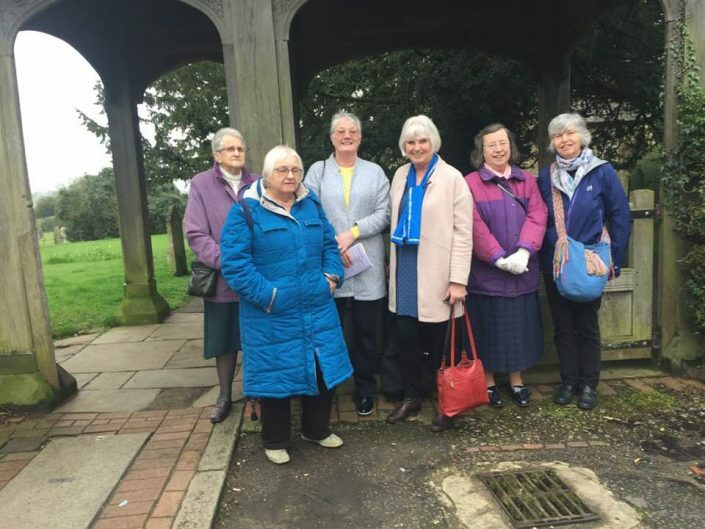 We would love persons, not necessarily members of the Mothers’ Union, to volunteer to give something back to our wonderful choir at St Mary’s. Our Parish-wide Mothers’ Union branch is active & well-supported. Feel free to come to our meetings. 11th June Quiet Day at St Margaret’s Ifield 10am-2pm. Bring pack lunch. Fellowship Sunday: St Leonard’s 2.15pm-4.15 sharing company, hobbies, craft, games & refreshments Sundays 17 Feb; 17 Mar; 20 Oct; 17 Nov.